Metal goods production companies are always looking for new ways to save money or time. If your product is the solution that they need, they'll be glad to hear about it: Tell them using this accurate fabricated metal products production email list. Metal products are integral parts of our everyday lives, whether we notice them or not. Indeed, even a simple thing like a metal screw or a piece of wire can end up making a big difference in someone's happiness or safety. If your company has a product or service that can help metal fabricators do their jobs more safely or more efficiently or produce better-quality goods, forge B2B connections with the people who make purchasing decisions at these firms. But how? The answer is simple: Bookyourdata.com. 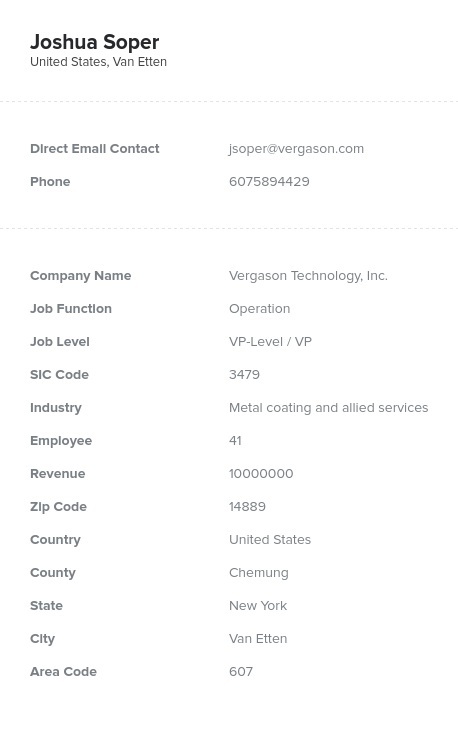 When you buy this fabricated metal products manufacturer mailing list, you'll get all of the information you need to make valuable connections with sales leads, including their real names, email addresses, job titles, phone numbers, company details, and much more. And while you'll get a sizable number of solid leads, we don't believe in quantity over quality. That's why we double-verify each B2B email list we sell to make sure that it's accurate and up-to-date. If you'd rather start your marketing campaign a bit smaller, rather than using this pre-built, comprehensive fabricated metal products industry email database, try making your own with our help. We have a list-builder tool that you can easily use to make a business database that's customized to your needs, filtering contacts by things like company size, location, or contacts' job titles. Either way, we can help you get the data you need!